The 2019 Super Blood Wolf Moon Eclipse to Take Over the Sky Tonight! So, guess what! The moon will turn red tonight! The full eclipse will take place between the evening of Sunday, January 20th and the early morning hours of Monday, January 21st. The total phase of the eclipse will be visible in the North and South Americas, Central as well as Eastern Africa, Europe, and Asia, which will see a partial eclipse of the moon. Unlike the solar eclipse, the lunar eclipse is one of the most easily observable astronomical phenomenas. You don’t need any equipment to observe it as it’s safe to watch with the naked eye. You can also take pictures of the lunar eclipse with your own phone or using a small telescope if you would like to watch a more detailed version of it. For lunar eclipses to happen, there must be a full moon; it takes place when the Earth is exactly between the sun and the moon. The Earth blocks most of the light from the sun and the moon will then appear on our planet’s shadow; the umbra. However, the moon doesn’t go full black like the sun but instead, the sunlight slips from the edges of the Earth and hit the moon. You can watch the lunar eclipse from an entire hemisphere; which means a larger number of people can watch it for a longer period of time. On average, there are about two lunar eclipses that take place every year, but sometimes it can happen three to five times a year like the three eclipses that took place in 2002. It’s worth mentioning that astronauts are expecting four eclipses to take place in 2020. Astronauts are particularly interested in this year’s eclipse because it’s the last of its kind for the next couple of years. Also because it’s going to last for more than one hour. The total lunar eclipse is also called the super blood wolf moon eclipse. The ‘wolf’ part is retrieved from the Native American tribes who believe that wolves would howl when the full moon appears at the beginning of the year. On another note, the eclipse will occur when the moon is at its closest point to Earth making it a super-moon. It will appear 14% larger and 30% brighter with an orange-reddish color. That’s going to be the result when the sunrays sneak on the Earth’s edges passing through our atmosphere creating this color. 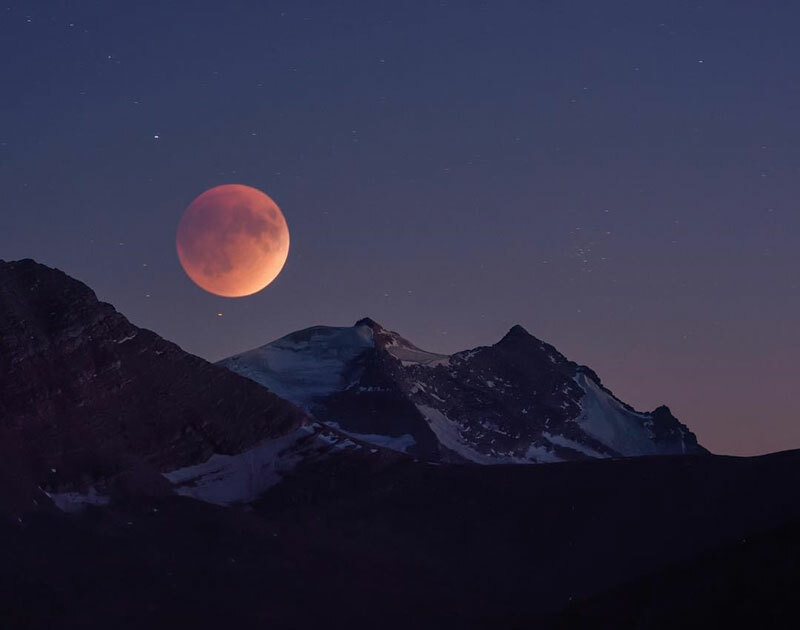 It is expected we witness a ‘partial’ lunar eclipse this year in July, meaning that the moon will not be fully inside the Earth’s shadow, but most of it will be covered. You will be able to observe it from Africa, Europe, and parts of Asia too! However, not from the two Americas. WE SAID THIS: We’re an impossibility in an impossible universe!